If you are a contractor employed as a director of your own limited company, the scale and complexity of the financial tasks required of you can often be much more than you have the know-how or time to deal with. I have developed a comprehensive package of accounting and tax services specifically constructed to meet your needs, and all for a fixed monthly fee of £155 + VAT. I will adjust the fee if you do not need all the services included in my contractor package. Giving you the reassurance that your payment as a director complies with all the relevant regulations by administering your individual payroll and payslips, and dealing with all online Real Time Information compliance including P60 and P11d filing. I can also issue dividend certificates for your shareholders. Providing you with your own FreeAgent accounting system and app to review your business results live, online, anytime, anywhere. 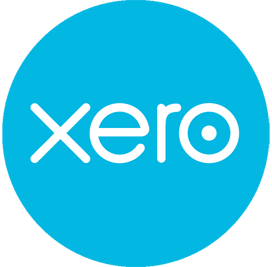 You can use the app to record expenses and there is no need to file receipts – just take a photo and upload to your accounting system. Ensuring all the annual accountancy essentials are covered by preparing and submitting standard annual accounts, your corporation tax return, your Director’s basic income tax return and your Companies House annual return and fee. Taking the pressure from you of having to submit an accurate and timely VAT return by completing and filing quarterly online returns on your behalf. Giving you the confidence that your dealings with HMRC are professionally handled by dealing with all necessary correspondence. * My monthly fee excludes time spent on a technical piece of work arising from a discussion by email or phone. This would be discussed with you and a quote given before work was carried out.